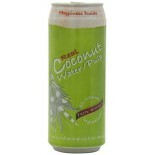 Attributes: Natural or Organic Ingredients, Non-GMO Project Verified , Specialty Product, VeganIngredients: Coconut Water .. 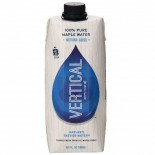 Attributes: Natural or Organic Ingredients, Non-GMO Project Verified , Specialty Product, Vegan.. 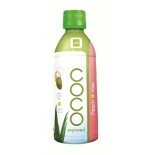 Attributes: Natural or Organic Ingredients, Specialty Product, Vegan.. 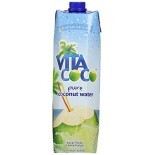 Attributes: Dairy Free, Natural or Organic Ingredients, Wheat Free, Yeast Free.. 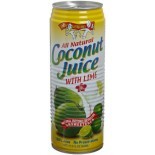 Attributes: Foodservice (Single Serve), Natural or Organic Ingredients, Non-GMO Project VerifiedIngredients: Young Coconut Juice and Lime Juice.Nutritions: Calcium(2), Calories(86), Cholesterol(0), Dietaryfiber(0), Fromfat(0), Iron(6), Protein(0), Saturatedfat(0), Servingscontainer(2), Servingsize(8.. 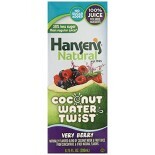 Attributes: Foodservice (Single Serve), Natural or Organic Ingredients, Non-GMO Project Verified , VeganIngredients: Young Coconut Juice, Young Coconut Pulp.Nutritions: Calcium(2), Calories(76), Cholesterol(N/A), Dietaryfiber(N/A), Fromfat(N/A), Iron(6), Protein(0), Saturatedfat(0), Servingscontaine.. 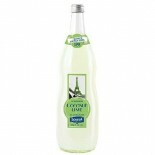 Attributes: Dairy Free, Fair Trade, Gluten Free, Natural or Organic Ingredients, Specialty Product, Vegan, Wheat Free, Yeast Free.. 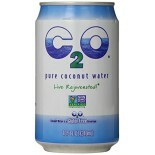 Attributes: Natural or Organic Ingredients, Non-GMO Project VerifiedIngredients: 100% natural coconut water. .. 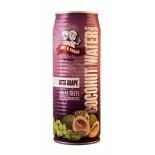 Attributes: Gluten Free, Natural or Organic Ingredients, Non-GMO Project Verified.. 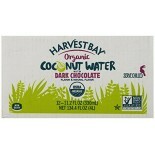 Attributes: Dairy Free, Gluten Free, Natural or Organic Ingredients, Non-GMO Project Verified , Vegan, Wheat Free.. 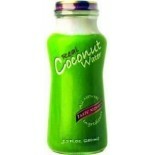 Attributes: Gluten Free, Kosher, Low Salt / Low Sodium / Reduced Sodium, Natural or Organic Ingredients, Wheat Free, Yeast Free.. 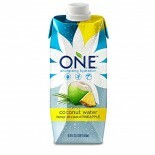 Attributes: Dairy Free, Natural or Organic Ingredients, Non-GMO Project Verified , Vegan, Wheat Free, Yeast FreeIngredients: Organic coconut water from cencentrate, organic pineapple juice concentrate, natural flavors. .. 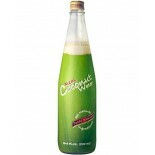 Attributes: Gluten Free, Natural or Organic Ingredients, Non-GMO Project Verified , Vegan, Yeast FreeIngredients: ORGANIC COCONUT WATER FROM CONCENTRATE, ORGANIC PINEAPPLE JUICE, CONCENTRATE, NATURAL FLAVOURS .. 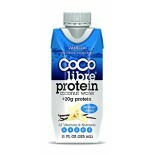 Attributes: Dairy Free, Natural or Organic Ingredients, Non-GMO Project Verified , Vegan, Wheat Free, Yeast Free.. 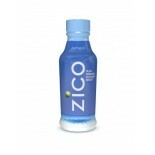 Attributes: Kosher, Natural or Organic IngredientsIngredients: Organic Coconut Water from Concentrate, Filtered Water, Grass Fed Milk Protein Concentrate, Coconut Cream, Erythritol, Acacia Gum, Natural Flavor, Nutrient Blend (see below), Vanilla Extract, Carrageenan, Stevia Leaf Extract. 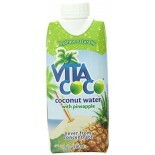 Nutrient B.. 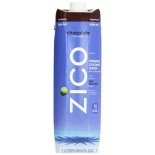 Attributes: Kosher, Natural or Organic IngredientsIngredients: Organic Coconut Water from Concentrate, Filtered Water, Grass Fed Milk Protein Concentrate, Coconut Cream, Erythritol, Dutched Cocoa Powder, Acacia Gum, Nutrient Blend (see below), Vanilla Extract, Carrageenan, Stevia Leaf Extract. 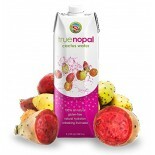 Nutr.. 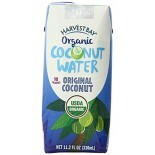 Attributes: Kosher, Natural or Organic IngredientsIngredients: Organic Coconut Water from Concentrate, Coffee (Water, Coffee Extract), Filtered Water, Grass Fed Milk Protein Concentrate, Coconut Cream, Acacia Gum, Nutrient Blend (see below), Carrageenan, Stevia Leaf Extract. 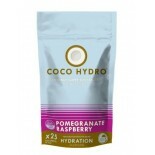 Nutrient Blend - Potass.. 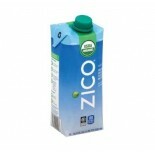 Attributes: Kosher, Natural or Organic IngredientsIngredients: Organic Coconut Water from Concentrate, Filtered Water, Grass Fed Milk Protein Concentrate, Coconut Cream, Erythritol, Acacia Gum, Nutrient Blend (see below), Vanilla Extract, Natural Flavor, Carrageenan, Stevia Leaf Extract. 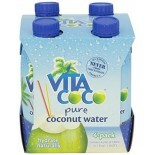 Nutrient B.. 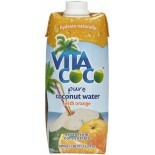 Attributes: Natural or Organic Ingredients, VeganIngredients: Evaporated coconut water, dextrose, Hydro BoostTM (potassium, phosphate, calcium citrate, magnesium phosphate, manganese citrate, ascorbic acid), sea salt, natural flavors, ionic trace minerals, citric acid, silica, coconut flower blossom.. 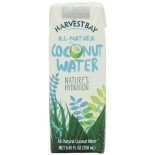 Attributes: Dairy Free, Gluten Free, Natural or Organic Ingredients, Vegan, Wheat Free, Yeast FreeIngredients: evaporated coconut water, dextrose, Hydro BoostTM (potassium, phosphate, calcium citrate, magnesium phosphate, manganese citrate, ascorbic acid), sea salt, natural flavors, natural vegetabl.. 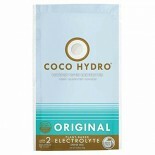 Attributes: Natural or Organic Ingredients, VeganIngredients: evaporated coconut water, dextrose, Hydro BoostTM (potassium, phosphate, calcium citrate, magnesium phosphate, manganese citrate, ascorbic acid), sea salt, natural flavors, natural vegetable based coloring, ionic trace minerals, citric ac.. 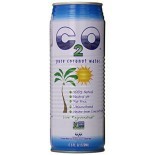 Attributes: Fair Trade, Gluten Free, Natural or Organic Ingredients, Vegan, Wheat Free, Yeast FreeIngredients: Evaporated coconut water, dextrose, Hydro BoostTM (potassium, phosphate, calcium citrate, magnesium phosphate, manganese citrate, ascorbic acid), sea salt, natural flavors, ionic trace mine.. 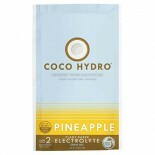 Attributes: Gluten Free, Natural or Organic Ingredients, Vegan, Wheat Free, Yeast FreeIngredients: evaporated coconut water, dextrose, Hydro BoostTM (potassium, phosphate, calcium citrate, magnesium phosphate, manganese citrate, ascorbic acid), sea salt, natural flavors, natural vegetable based colo.. 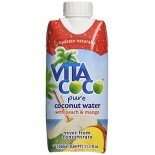 Attributes: Dairy Free, Low Salt / Low Sodium / Reduced Sodium, Natural or Organic Ingredients, Vegan, Wheat Free, Yeast Free.. 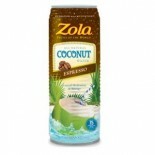 Attributes: Dairy Free, Gluten Free, Low Salt / Low Sodium / Reduced Sodium, Natural or Organic Ingredients, Non-GMO Project Verified , Yeast FreeIngredients: Coconut water.Nutritions: Calcium(5), Calories(65), Cholesterol(0), Dietaryfiber(0), Fromfat(0), Iron(0), Protein(0), Saturatedfat(0), Servin.. 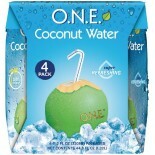 Attributes: Natural or Organic Ingredients, Non-GMO Project VerifiedIngredients: Coconut water.Nutritions: Calcium(4), Calories(35), Cholesterol(0), Dietaryfiber(0), Fromfat(0), Iron(0), Protein(0), Saturatedfat(0), Servingscontainer(1), Servingsize(1 container (250mL)), Sodium(120), Sugars(6), Tota.. 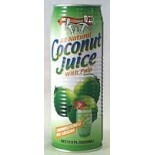 Attributes: Dairy Free, Low Salt / Low Sodium / Reduced Sodium, Natural or Organic Ingredients, Non-GMO Project VerifiedIngredients: Coconut Water, Pineapple Juice from Concentrate (Water, Pineapple Juice Concentrate), Palm Sugar, Natural Pineapple Flavor, Ascorbic Acid (Vitamin C). 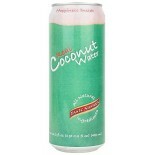 Nutritions: Ca.. 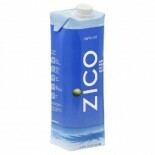 Attributes: Dairy Free, Kosher, Low Carb, Natural or Organic Ingredients, Non-GMO Project Verified , Sugar Free, Wheat FreeIngredients: Almonds and yogurt coating (dried cane juice, fractionated palm kernel oil, non-fat milk powder, yogurt powder, lactic acid, soy lecithin (added as an emulsifier), .. 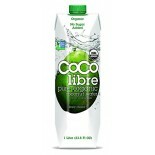 Attributes: Dairy Free, Kosher, Natural or Organic Ingredients, Non-GMO Project Verified , Wheat Free, Yeast Free.. 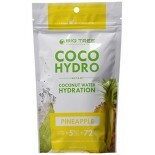 Attributes: Fair Trade, Natural or Organic IngredientsIngredients: 100% organic coconut water from concentrate, organic guarana extract, organic panax ginseng extract, niacinamide (b3), D-calcium pantothenate (b5), pyridoxine hydrochloride (b6), cyanocobalamin (b12). 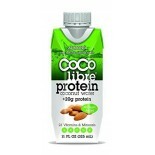 Nutritions: Calcium(N/A), Calor.. 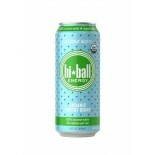 Attributes: Natural or Organic Ingredients, Specialty ProductIngredients: Carbonated water, sugar, citric acid, natural lime flavor with other natural flavors, sodium benzoate (as preservative), glycerol esters of wood rosins and sucrose acetate isobutyrate (as stablizers). .. 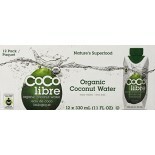 Attributes: Fair Trade, Gluten Free, Natural or Organic Ingredients, Vegan.. 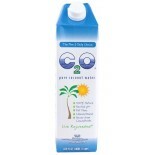 Attributes: Dairy Free, Gluten Free, Natural or Organic Ingredients, VeganIngredients: Organic young coconut water.Nutritions: Calcium(6), Calories(65), Cholesterol(0), Dietaryfiber(0), Fromfat(0), Iron(>2), Protein(0), Saturatedfat(0), Servingscontainer(1), Servingsize(10.1 fl oz (300ml)), Sodium(5.. 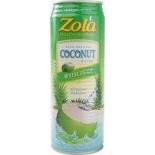 Attributes: Dairy Free, Gluten Free, Kosher, Natural or Organic Ingredients, Wheat Free, Yeast FreeIngredients: 100% Natural Coconut Water.Nutritions: Calcium(40), Calories(60), Cholesterol(0), Dietaryfiber(0), Fromfat(0), Iron(N/A), Protein(1), Saturatedfat(0), Servingscontainer(1), Servingsize(11 .. 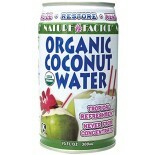 Attributes: Natural or Organic IngredientsIngredients: Coconut Water. .. 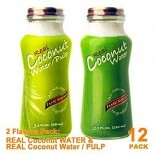 Attributes: Natural or Organic IngredientsIngredients: Coconut Water, Pineapple Juice, Sugar, Ascorbic Acid, Natural Flavor. .. 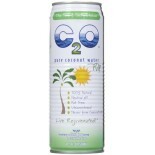 Attributes: Natural or Organic Ingredients, Non-GMO Project Verified , Specialty ProductIngredients: Natural Coconut Water, Chili Extract. .. 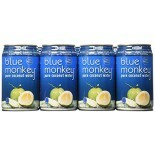 Attributes: Gluten Free, Natural or Organic Ingredients, Non-GMO Project Verified , Specialty ProductIngredients: Coconut water, aloe vera and fiber. 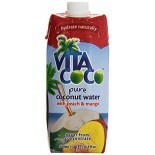 Nutritions: Calcium(4), Calories(90), Cholesterol(0), Dietaryfiber(2), Fromfat(0), Iron(2), Protein(1), Saturatedfat(0), Servingscontainer(1), Serving.. 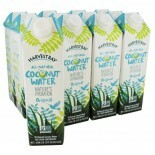 Attributes: Dairy Free, Natural or Organic Ingredients, Wheat FreeIngredients: Natural coconut water, coconut pulp. .. 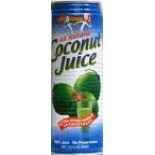 Attributes: Gluten Free, Natural or Organic Ingredients, Non-GMO Project Verified , Specialty ProductIngredients: Young Coconut Juice.. 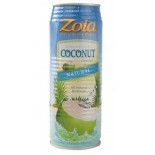 Attributes: Dairy Free, Gluten Free, Natural or Organic Ingredients.. 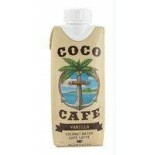 Attributes: Dairy Free, Gluten Free, Kosher, Natural or Organic Ingredients, Vegan, Wheat Free.. Attributes: Dairy Free, Gluten Free, Low Carb, Low Salt / Low Sodium / Reduced Sodium, Natural or Organic Ingredients, Non-GMO Project Verified , Vegan, Wheat Free, Yeast Free.. 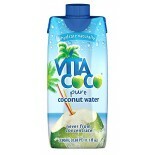 Attributes: Dairy Free, Gluten Free, Kosher, Low Carb, Low Salt / Low Sodium / Reduced Sodium, Natural or Organic Ingredients, Vegan, Wheat Free, Yeast FreeIngredients: Natural Coconut Water.Nutritions: Calcium(5), Calories(60), Cholesterol(0), Dietaryfiber(0), Fromfat(0), Iron(0), Protein(0), Satur.. 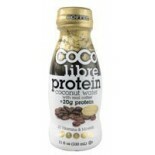 Attributes: Gluten Free, Kosher, Natural or Organic Ingredients, Vegan, Wheat Free, Yeast Free.. 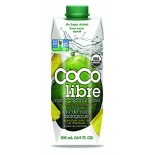 Attributes: Dairy Free, Gluten Free, Kosher, Low Carb, Low Salt / Low Sodium / Reduced Sodium, Natural or Organic Ingredients, Vegan, Wheat Free, Yeast FreeIngredients: Natural Coconut Water, Mango Puree, Peach Puree, Ascorbic Acid (Vitamin C).Nutritions: Calcium(5), Calories(80), Cholesterol(0), Di.. 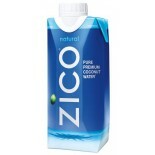 Attributes: Kosher, Natural or Organic IngredientsIngredients: Natural Coconut Water. Nutritions: Calcium(5), Calories(60), Cholesterol(0), Dietaryfiber(0), Fromfat(0), Iron(0), Protein(0), Saturatedfat(0), Servingscontainer(1), Servingsize(330ml (11 oz)), Sodium(40), Sugars(15), Totalcarbs(15), Tot.. 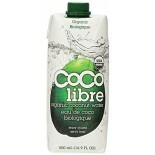 Attributes: Dairy Free, Gluten Free, Kosher, Low Carb, Low Salt / Low Sodium / Reduced Sodium, Natural or Organic Ingredients, Non-GMO Project Verified , Vegan, Wheat Free, Yeast FreeIngredients: Natural Coconut Water, Tangerine Puree, Ascorbic Acid (Vitamin C).Nutritions: Calcium(5), Calories(70),.. 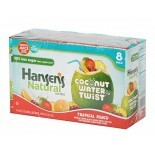 Attributes: Dairy Free, Foodservice (Bulk Pack), Gluten Free, Kosher, Low Carb, Low Salt / Low Sodium / Reduced Sodium, Natural or Organic Ingredients, Vegan, Wheat Free, Yeast FreeIngredients: Coconut Water, Less than 1% Natural Fruit Sugar, Vitamin C.Nutritions: Calcium(5), Calories(60), Cholester.. 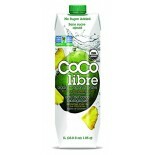 Attributes: Gluten Free, Kosher, Natural or Organic IngredientsIngredients: Coconut water, less than 1% natural fruit sugar, vitamin C .. 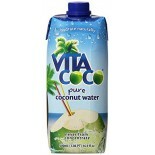 Attributes: Natural or Organic IngredientsIngredients: Natural Coconut Water, Mango Puree, Peach Puree, Ascorbic Acid (Vitamin C).Nutritions: Calcium(5), Calories(80), Cholesterol(0), Dietaryfiber(0), Fromfat(0), Iron(0), Protein(0), Saturatedfat(0), Servingscontainer(N/A), Servingsize(11.2 fl oz), .. 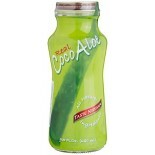 Attributes: Foodservice (Single Serve), Natural or Organic Ingredients, Non-GMO Project VerifiedIngredients: Natural Coconut Water, Pineapple Puree, Coconut Puree, Ascorbic Acid (Vitamin C).Nutritions: Calcium(5), Calories(80), Cholesterol(0), Dietaryfiber(0), Fromfat(0), Iron(0), Protein(0), Satura.. 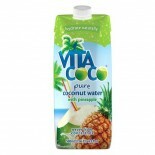 Attributes: Dairy Free, Gluten Free, Kosher, Low Carb, Low Salt / Low Sodium / Reduced Sodium, Natural or Organic Ingredients, Non-GMO Project Verified , Vegan, Wheat Free, Yeast FreeIngredients: Natural Coconut Water, Pineapple Puree, Coconut Puree, Ascorbic Acid (Vitamin C).Nutritions: Calcium(5),.. 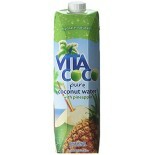 Attributes: Dairy Free, Gluten Free, Kosher, Low Carb, Low Salt / Low Sodium / Reduced Sodium, Natural or Organic Ingredients, Vegan, Wheat Free, Yeast FreeIngredients: Coconut Water, Pineapple Puree, Coconut Puree, Vitamin C. .. Attributes: Dairy Free, Gluten Free, Kosher, Natural or Organic IngredientsIngredients: 100% natural coconut water from concentrate, cane sugar, coconut cream, cocoa, vanilla, carrageenan. .. 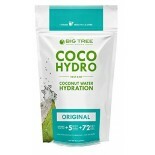 Attributes: Natural or Organic IngredientsIngredients: 100% natural coconut water from concentrate, natural flavors.Nutritions: Calcium(3), Calories(60), Cholesterol(N/A), Dietaryfiber(N/A), Fromfat(N/A), Iron(N/A), Protein(0), Saturatedfat(N/A), Servingscontainer(1 bottle), Servingsize(14 fl oz), S.. 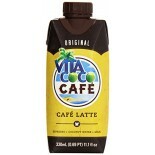 Attributes: Foodservice (Single Serve), Kosher, Natural or Organic Ingredients.. 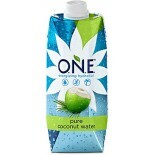 Attributes: Kosher, Natural or Organic IngredientsIngredients: 100% Natural Coconut Water.. 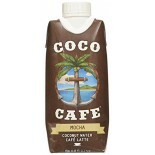 Attributes: Natural or Organic Ingredients, Wheat FreeIngredients: Coconut Water, Espresso Coffee (Water Espresso Coffee Beans), Evaporated Cane Juice, Milk, Carrageenan, Natural Flavor. ..